Installing apps on Prota S is extremely simple. 1. Go to the Prota Space app on your smart device or open https://prota.space on your browser. 2. 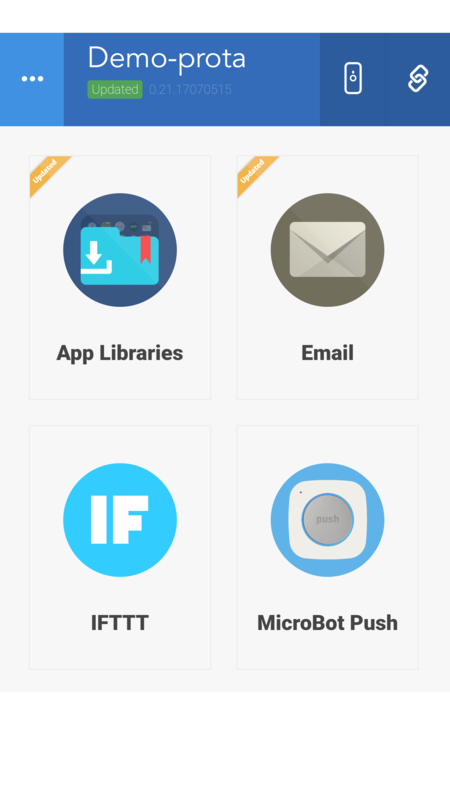 Open the App Library, find your app by scrolling the list and simply click the install label on top of the app icons. 3. 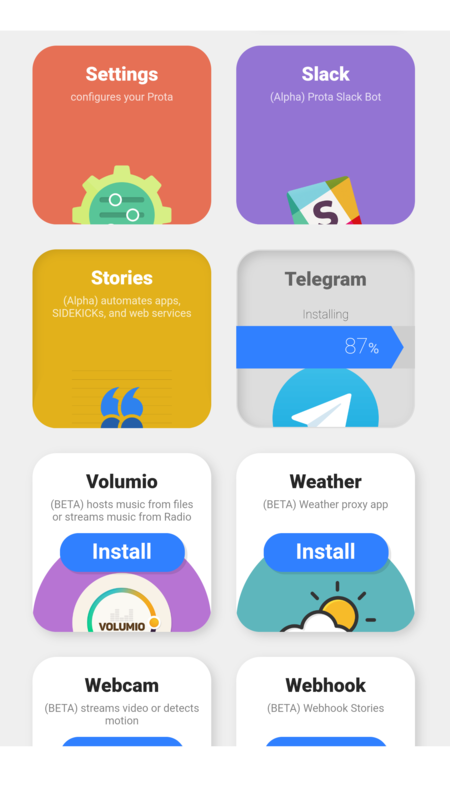 All installed apps will appear colored in the App Library. 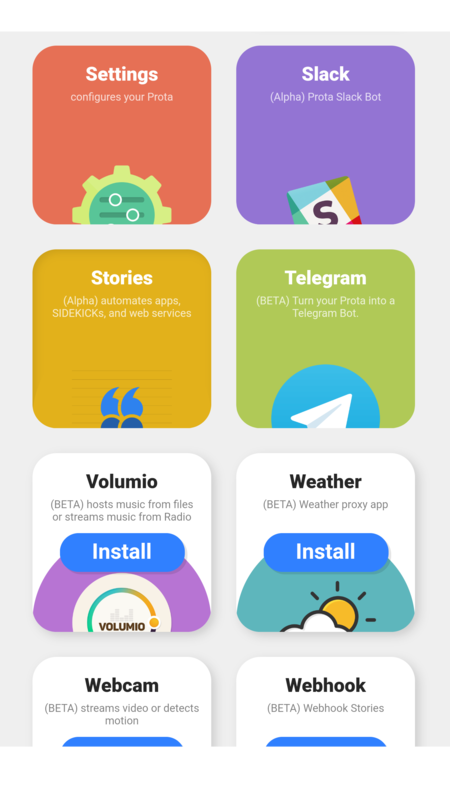 To protect your data and privacy once the app is installed, all related data will be stored in Prota locally. This means, when you delete the app, all data will be erased as well.